The Internet of Things (IoT) is often touted as the prime enabler of the next Industrial Revolution. 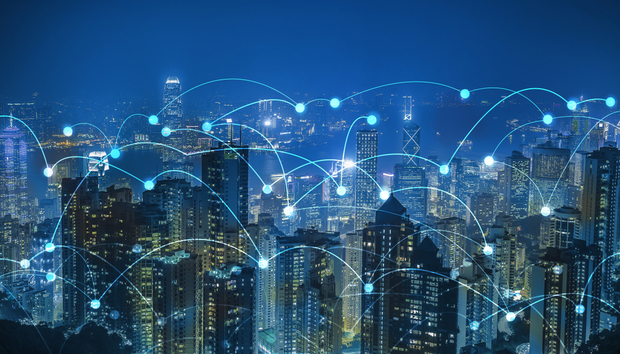 With the worldwide spending on IoT predicted to reach $772 billion in 2018 and the number of connected devices estimated to touch 20 billion by 2020, IoT is penetrating into the global market at a stunning rate. But while IoT has seen major hype in the developed world, it is yet to take off in the developing world. Although the ASEAN nations have only started to gear up for IoT revolution, the startup scene is overwhelmingly positive. Singapore and Malaysia lead the IoT space in the region and are setting up several government initiatives and projects, such as the National IoT Strategic Roadmap launched by the Malaysian government to promote IoT, and the initiative by Singapore's IDA, now restructured as IMDA, to develop a smart nation platform to help the government provide better services. Besides governmental initiatives, private players are also key drivers to IoT, with companies like Siemens and Dell setting up their own labs in Singapore. Meanwhile, with several projects and initiatives such as smart cities, countries like Vietnam, Thailand, Indonesia etc., are currently host to mushrooming IoT startups. While ASEAN nations, due to their comparatively smaller population and geographical footprint, could propel nationwide strategies at a faster pace to incorporate IoT, the two giants, India and China have the biggest potential to make an impact on the Asian economy with IoT. China is estimated to boast 22% of the IoT market share, making it the largest IoT market. The country is undergoing a rapid transformation in terms of digitization and urbanization. With numerous R&D facilities being set up and large investments, China is reorienting itself to lead the tech innovation space, which was previously seen as a forte of the west. India, on the other hand, is looking to take a giant leap into a digital economy with government projects and initiatives like 'Smart Cities' and 'Digital India'. Renowned for its robust IT sector, it is reported that Indian IT companies own two-fifths of the world's IoT market. In addition, with over 900 IoT startups registered, a vibrant entrepreneurial culture is exhibited in India, hinting at the huge opportunities available. Yash Mehta is an internationally recognized IoT, M2M and Big Data technology expert. His articles have been featured in the most authoritative publications and awarded as one of the most innovative and influential works in the connected technology industry.